Once you’ve availed the basement mold and waterproofing services of AdvantaClean of Alpharetta, tackling basement problems will never be the same again. We are an Alpharetta, Georgia-based light environment service company and a licensed contractor. We provide a repertoire of restoration services including basement damage recovery. 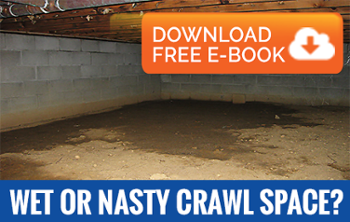 Being a low-lying part of a building, basements remain susceptible to flooding, moisture and mold intrusion, and invasion by insects and rodents all throughout the year. If not dealt with timely, these issues inevitably impair the quality of the air circulating indoors. Sooner or later, they can escalate into ill effects on human health in the form of many respiratory problems and allergies. AdvantaClean of Alpharetta’s basement service includes free estimate and consultation. We’ve been offering quality basement remediation services to the residents of Alpharetta and other adjoining cities like Auburn, Lawrenceville, Ball Ground and Grayson for 5 years now. Our premier environmental services are designed to improve indoor air quality and make families and employees safer and healthier, besides adding value to basements. For basement moisture control, call today (678) 841-8457!